We asked, our community answered, and the results are fascinating. In our annual survey Psoriatic Arthritis In America 2018, Health Union asked 1,054 respondents to answer 90 questions that addressed their diagnosis, quality of life, medications, interaction with their healthcare provider (HCP), and more. 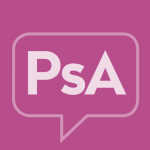 Most respondents (80 percent) were diagnosed with psoriatic arthritis (PsA) by a rheumatologist and the vast majority (79 percent) still see a rheumatologist to manage their symptoms of PsA. The remaining 19 percent depend on a dermatologist, family physician or another type of specialist. Among its many fascinating results, the survey revealed that while 70 percent of those surveyed felt comfortable discussing all aspects of their condition with their doctor, they were less satisfied with other aspects of working with their HCP. Their doctor regularly discusses quality of life on their current treatment plan. The doctor or staff provides help navigating insurance appeals and the financial aspects of treatment. All doctors on the healthcare team communicate effectively with one another. Admittedly, quality of life issues, insurance and financial matters, and team communication are probably the hardest aspects of managing any chronic health condition. That’s why it’s vital for you to make sure you’re doing your part by staying organized and thoroughly communicating with your doctors and their staff as often as necessary. Here are some tips and resources to help make your HCP appointments more successful and more satisfying. Just like any type of relationship, you and your doctor will understand one another better if you communicate often and thoroughly. Since many people with PsA (nearly 4 in 10) experience anxiety or panic disorders, the benefits of building a deep rapport with your healthcare team can be substantial and provide much needed emotional support. Track your symptoms and document those details, then share that information with your physician at every appointment. Openly discuss what’s working and what’s not working about your current treatment plan. Talk to your doctor about alternative treatment options, both prescription and complementary, so they can guide you through potential complications and away from expensive, bogus health claims. Detailed descriptions of the time, severity and duration of your flare-ups and specifically how pain is limiting how you live your life may be hard to remember or explain at the time of your doctor’s appointment. That’s why it’s essential you get into the habit of recording your concerns either in writing or by video or audio recording. All this said, if you feel like your doctor is consistently rushed, doesn’t listen to your concerns, or is simply not a good fit for your personality, it may be time to find another physician. After all, an all-encompassing diagnosis like psoriatic arthritis means you need a doctor who “gets” you and makes you feel comfortable. Just as some people are a more natural fit as friends, so you and your doctor need to be on the same page treatment-wise in order to achieve optimal results for you. This means you must feel able to discuss what’s working and what’s not working when it comes to all aspects of your treatment. The Psoriatic Arthritis In America 2018 survey included 1,054 respondents recruited from Psoriatic-Arthritis.com subscribers, Facebook fans, site visits, and other social media sites. Those surveyed were age 18 and older and live in the U.S.